CULTURE CLASH IS RICHARD MONTOYA, RIC SALINAS, AND HERBERT SIGÜENZA. 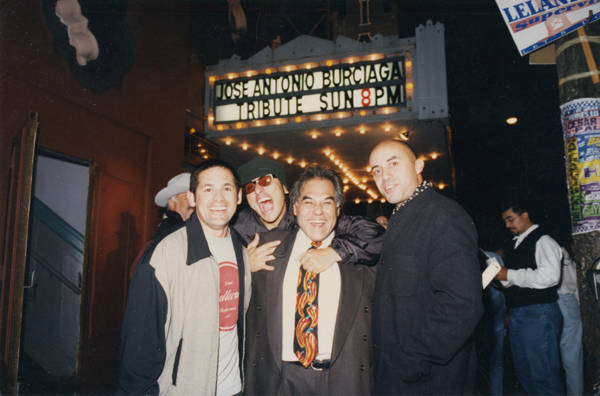 The Latino/Chicano comedy and theatre group was born on Cinco de Mayo, 1984 at René Yáñez's Galeria de la Raza in San Francisco, California. Originally composed of six members, this innovative troupe gained a place in the national spotlight with their 1988 play, The Mission. Counting influences such as Charlie Chaplin, Bertolt Brecht, Cantinflas, and the Marx Brothers, Culture Clash have brought their blend of social and political satire to prominent venues including New York's Lincoln Center for the Performing Arts, Miami's Colony Theatre, and Los Angeles' Mark Taper Forum; to their television specials and comedy series; to their movies and short films; to their artwork and visual style; and most recently, to the publication of their collected works--Culture Clash: Life, Death and Revolutionary Comedy (1998) and Culture Clash in AmeriCCa: Four Plays (2003). CSUN's Oviatt Library is proud to be the home to their archives. Selected highlights from this collection are presented here to illustrate Culture Clash's creative vision. This exhibition celebrates twenty years of remarkable work, and we look forward to many more. Now, enjoy the pinche exhibit!